Constructed of the finest bridle leather available. Solid Brass hardware with sturdy leather straps, which are adjustable. Available in Black or Havana in lined . 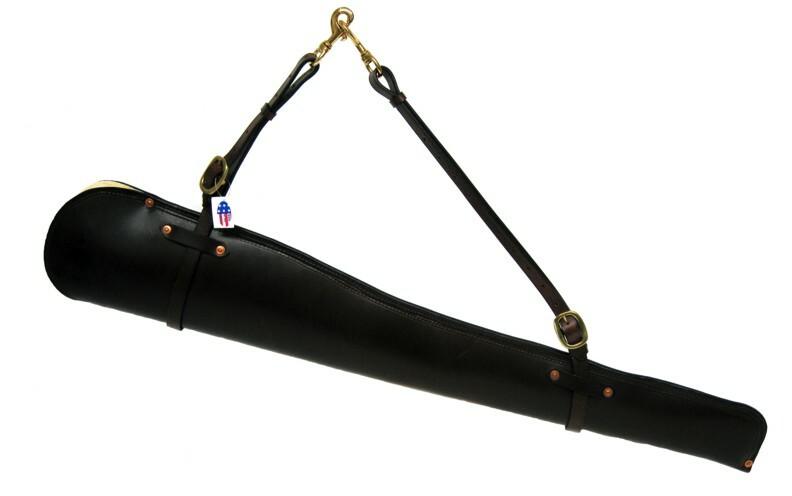 The "lined" scabbards are lined with a felt material that wicks away moisture from the gun.